I recently had the exciting opportunity to visit Disneytoon Studios and interview producer Clark Spencer along with directors Rich Moore and Byron Howard. 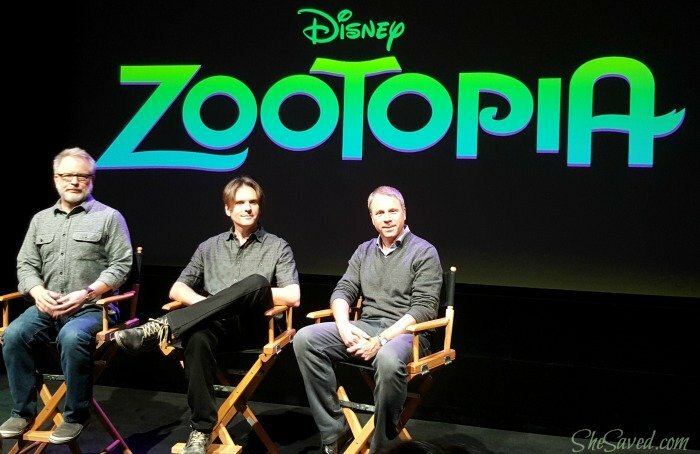 These guys are part of the team that literally spent years of their lives dreaming up and building the world of Zootopia. In the process of building this world, they knew the importance of this project as any new world that Disney introduces becomes an iconic part of animation history and they took this assignment very seriously. The team literally went across the world to research for this film. 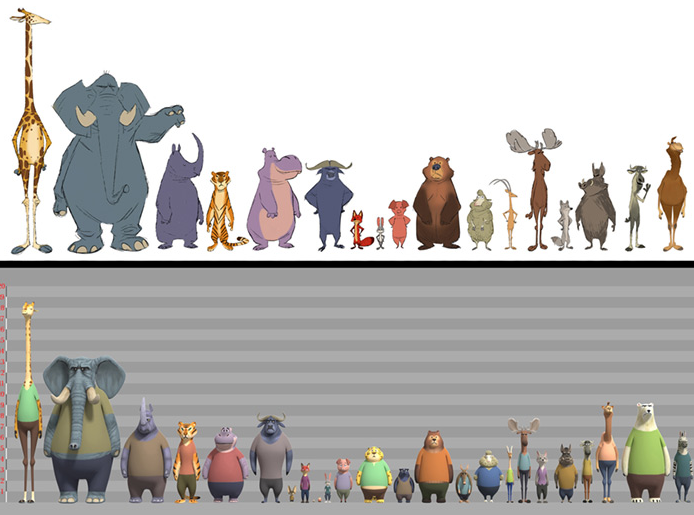 Watching animal behaviors was a huge part of the process of bringing these characters to life in realistic and believable ways. At one point, we camped at 20 or 30 feet from a watering hole where animals of all kinds come in during the day to, to drink. And what we noticed was amazing. We noticed that animals, predator and prey, lions would come and drink right next to antelope and zebra, which they normally eat. And during the day, they just come in, they see each other. They’re aware of each other, but they just drink, they give each other a look, and they go their separate ways. So everyone is very well behaved around the watering hole. We thought that’s really interesting. That’s like two groups that normally don’t get along, they have to figure out how to work together, and we thought that’s a very interesting sort of parallel to our own world. And it was these types of observations from which the world of Zootopia was created! In a movie like this, scale is a BIG (and little) deal. This fun graphic shows just how much size difference there is between the largest and smallest animals. It was also a challenge to get all of the animals upright and on two feet. By studying the animals and their movements and behaviors, they were able to do this for each and every animal in the film. I’m pretty impressed with how natural they were able to make all of these creatures look, aren’t you? I had the chance to try my hand at drawing with Byron. 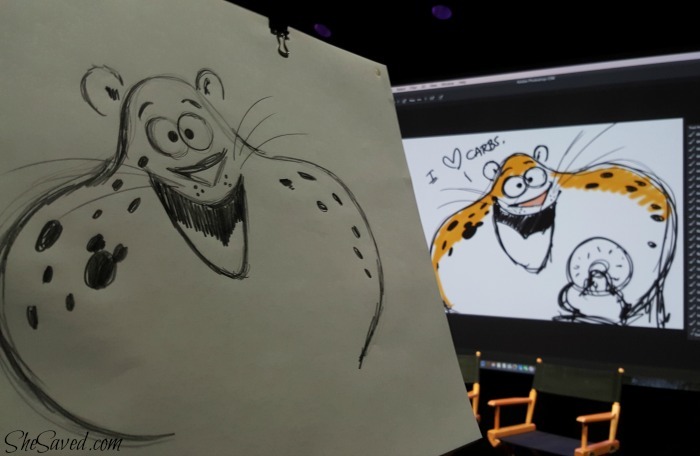 He made it look easy and with his direction, I was able to draw my own version of Clawhauser. 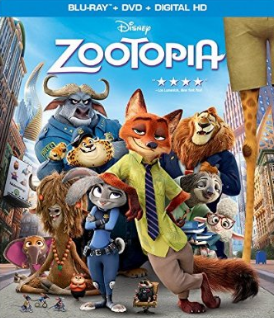 Of course, for this whole idea of a Zootopia city, they needed a story to bring the whole thing together. Byron shared with us how that all came to be, and why it works, and that it all started with an optimistic little bunny named Judy Hopps meeting up with a sly fox named Nick Wilde. Two very unlikely partners, that team up for some great adventures despite that fact that they truly are natural born enemies! « MiniLou Paper Products! FREE Shipping on All Orders Over $5 PLUS $5 Off $30 PLUS FREE Coloring Book on ALL Orders Over $10!